Very good cigar for the price, everyday cigar. This is a medium to full bodied cigar. It is a great smoke on a small budget. For the money it is the best smoke on the market for a daily smoker. A fine smoking experiece at a great price. Good everyday smoke. Prefer the 54 ring but were back ordered, so I tried the 50 ring and was pleased with the flavor and construction. I've enjoyed these Oba Oba for a couple of years. Great value for a very affordable price. These are a good, solid smoke for the price. 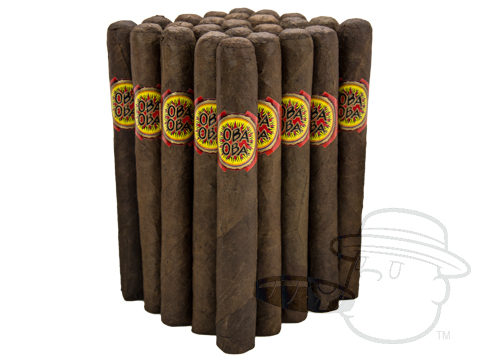 More of an everyday cigar for the budget smoker or a good start for a beginner not wanting to spend hundreds, they get the job done for a medium bodied maduro that contains mixed filler. They aren't soft or poorly filled as some short or mixed filler bundles can be. Not a complex cigar but does have earthy accents. You can do alot worse that is for sure. Oba Oba Toro Maduro - By Perdomo is rated 4.2 out of 5 based on 14 customer ratings.